I am busy looking at something @PDSNET have build which I think will fit perfectly - I'll provide feedback hopefully today. I got some, thanks to my Naspers shares. Hey, @jonobruton can you assist? President Cyril Ramaphosa will give the State of the Nation Address in Parliament on 7 February. For those living in Cape Town, getting around may be more difficult during the day’s festivities due to road closures. Below is a list of all road closures and the times they will be closed, to help you plan routes: 18h00 to 19h00 Roeland Street: between Buitenkant and Brandweer Streets 17h45 to 19h00 (Temporary Closure ±35 minutes) Klipper Road, Newlands: from Main Road (M4) to Newlands Avenue Princess Anne Avenue, Newlands: from Newlands Avenue to Union Avenue Newlands Avenue, Newlands: from Dean Street to Princess Anne Avenue Dean Street, Newlands, westbound: from Main Road (M4) to Newlands Avenue M3, Union Avenue, Rhodes Drive, Philip Kgosana Drive (De Waal Drive), Roeland Street, City-bound carriageway: from Newlands Avenue to city centre Woolsack Drive, Rondebosch, westbound: between Main Road (M4) and Rhodes Drive (M3) Anzio Road, Observatory: from Main Road (M4) to Philip Kgosana Drive (De Waal Drive) (M3) N2, Settlers Way City-bound carriageway: from Main Road (M4) to city centre 17h00 to 20h00 Buitenkant Street: between Darling and Strand Streets Darling Street: between Buitenkant and Canterbury Streets Harrington Street: between Darling and Roeland Streets 06h00 to 23h45 Church Sqaure Roeland Street: between Plein and Buitenkant Streets Closure of Company Gardens Government Avenue from Orange Street to Wale Street Plein Street from Longmarket Street to Roeland Street St John’s Street from Roeland Street to Vrede Street Gallery Lane Bouquet Street Hope Street: between Roeland and Glynn Streets Wesley Street: between Buitenkant and Hope Streets Glynn Street: between Buitenkant and Hope Streets Wale Street: between Queen Victoria and Adderley Streets Bureau Street: between Adderley and Parliament Streets Spin and Mostert Streets: between Corporation and Parliament Streets Parliament Street from the gates of Parliament to Longmarket Street Commercial Street: between Plein and Buitenkant Streets – becomes bi-directional Wesley and Glynn Streets: between Hope and Buitenkant Streets – becomes bi-directional President Cyril Ramaphosa will deliver his second state of the nation address (SONA) on Thursday at 19h00 in Cape Town. During an election year, two SONAs are held – one in February (to mark the final session of the outgoing parliament) and another after the new parliament has been constituted. The purpose of the address is to highlight the achievements and challenges experienced over the past year and presents the executive’s programme for the year ahead. It covers political, economic and social matters, and considers the general state of the country. It also reflects on South Africa’s domestic affairs as well as its relations in Africa and abroad. Ramaphosa is expected to address many of the lingering concerns at present – around land reform, state-owned enterprises, the creeping economy and unemployment – and will have to face debate on his speech in the week that follows. Many are expecting decisive action on Eskom, where Ramaphosa has promised to detail plans to split the struggling power utility. The 2019 SONA marks Ramaphosa’s first ‘real’ address, away from the infighting and political maneuvering that marred the 2018 speech, which was delayed as the ANC fought to get former president Jacob Zuma to resign. SONAs in the past, particularly under Zuma, often devolved into shouting matches and even violence, with disruptions from the EFF, and private security on the floor – a stark contrast to the air of elegance portrayed by politicians on the red carpet outside. Analysts expect a quieter, more dignified address under Ramaphosa – but the EFF has threatened to again disrupt proceedings unless the president addresses his links to Bosasa. 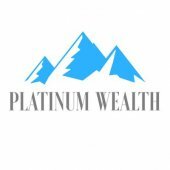 Platinum Wealth Financial Forum Our mission is to provide the best public forums for discussing money, finance, investing and personal wealth. We invite seekers of knowledge and experts in all fields of finance to take advantage of our financial and investing forums to learn and share. Personal promotions are welcome, but only in designated areas, please contact support to ask where you can post promotions and how if you have not been contacted by a forum admin directly. Rules This thread contains the most up-to-date forum rules, It details the rules that members agreed to at registration. (You did read them, right?) Ignorance is not an excuse. Posting Rules In order to keep our forums civil, organized and free of spam, we ask that members read and follow these guidelines. Promotion of your business, email, website or opportunity is only allowed in your profile and signature. 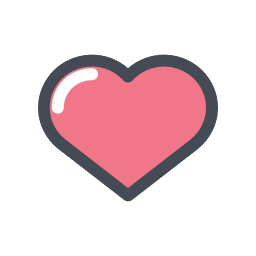 In all other forums, posts that have no purpose other than to display a link, to promote, or to solicit, may be deleted. This rule does not apply to company representatives. Affiliate Links are only allowed in your signature. Out-of-place affiliate links will be edited. Threads may be removed. Cross Posting by posting the same message in multiple forums is spamming and annoying. Duplicate posts will be deleted in all locations. Dead Thread Revival by posting to an archaic topic that has seen no activity in several weeks is not good etiquette and any such posts might be removed. This will be open to interpretation by the mod in question. Respect your fellow posters. All posts should be English. Afrikaans here and there is not a big issue, but for forum SEO and google compliance use English for everything. Also, please, no gambling or casino related posts, links or promotions of any type. Spam Policy As our financial community is burdened daily with fraudulent offers and get-rich-quick schemes we have a strict policy of removing spam and banning those that ignore our common-sense rules. Failure to follow our forum rules, or posting any of the following forbidden promotions will result in the post being deleted, or edited and moved to the spam forum. The member will be banned immediately if they have contributed only the spam, if a decent member makes a mistake we may let that go with a warning. Those here only to spam their offer should not register. Private message spamming should be forwarded to me. PM spammers will be banned. 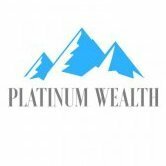 Forbidden Promotions Platinum Wealth is for serious discussions around finance, investing and money making. None of these known scams and sources of spam may be posted, promoted or linked to in any way (including signatures and private messages). Pyramid Schemes are expressly forbidden in all forms. Matrix Sites are automated pyramid schemes and are forbidden. Doublers are automated pyramid schemes and are forbidden. Randomizers are automated pyramid schemes and are forbidden. HYIPs are mostly blackbox pyramid schemes and are forbidden. Envelope Stuffing is a pyramid scheme variation and is forbidden. Paid to Search schemes are forbidden. Ad Placement is a pyramid scheme variation and is forbidden. Mystery Offers with no or little details are not allowed. Begging Requests are strongly discouraged. Financial Experts If you are a certified financial professional or a career expert in investing or credit, offering regular advice in our forums, we can assist you with an array of free advertising options and marketing advice for your online presence. Contact us for details. The industry will not thank Momentum for its climbdown The firm has created a new policy to compensate murder victims' beneficiaries But it’s opened up a hornet's nest for itself and the sector Momentum’s about-turn on its tough life insurance policy rules shows just how wrong you can be, even when you are right. Its refusal to pay out a claim on the basis that its client had lied about an existing medical condition was absolutely correct in terms of the law, but was a deeply flawed business decision. It has had its reputation trashed in the court of public opinion and now, even though it has scrambled to clean up the mess, the damage has been done. Also, its “solution” may very well have a bevy of unforeseen circumstances not only for itself, but the industry as a whole. What’s worse is Tuesday’s apparent victory for consumerism will have the opposite effect. You can bet that insurance industry actuaries are already calculating the consequences of Momentum’s decision to compromise on payouts and will factor that into their pricing models. The already high cost of life insurance in South Africa is likely to rise even further to compensate for its decision. Momentum thought it had a cut and dried case. After all it had been rejecting claims like the one made by Denise Ganas for years. Momentum, part of JSE-listed MMI Holdings, refused to pay out Ganas after her husband Nathan was killed in a hijacking in KZN two years ago, because he lied on his application forms. Momentum has evidence of a medical diagnosis two weeks before he applied for the insurance cover. Even though his death had nothing to do with his undisclosed high blood sugar levels, the company cited this as enough reason to not pay his beneficiaries’ R2.4m claim. The matter went to the insurance ombud, who agreed with the company. What it failed to consider was that social media world is a very unforgiving place when its citizens perceive an injustice. Momentum found itself pilloried, yet stood firm. It would not make a payout. Its group CEO Hillie Meyer even went as far as saying that the easy decision would be to pay out the claim to make the problem go away, but it was taking the harder decision to not stump up the cash. The company was branded as heartless and money grabbing. It lost the PR war even before it started. It took the firm more than two days to find a way out of the mess it had created for itself, but the damage was already done. Now Momentum says because of South Africa’s considerably higher than average murder rate, it will pay out claims up to a maximum of R3m if one of its clients is killed unlawfully, even if they lied on their application forms. It seems like a decent compromise. It will apply this retrospectively meaning Denise Ganas will get her R2.4m payout, less the R50,000 the firm paid out on her husband's death (and had demanded back initially). But it may have created a rod not only for its own back, but for the industry as a whole. The firm is still trying to figure out what this means in terms of the total liability it will assume into the future. Official police statistics show 20,388 South Africans were murdered last year. Global stats reveal you have a far higher chance of being murdered in South Africa than most other places on the planet. At 35.8 murders per 100,000 of the population, South Africa’s murder rate puts it in one of the top ten places in the world where you are likely to be killed unlawfully. According to worldfigures.com you would be safer in places like Columbia, Mexico and Cote D’Ivoire than in South Africa. Of those 20,388 murders, how many would have had any form of life cover? We don’t know the answer to that. Life cover is the preserve of the employed and really only those who can afford the premiums. Let’s be generous and assume that a quarter of those murdered had some form of life insurance – say 5,000 people. It’s probably a bit high, but let’s use it anyway. Momentum claims to have up to 15% market share of the lives assured in South Africa, so it might cover the lives of 750 people murdered annually. Last year it rejected 0.4% of life assurance claims. Not all of them for the same reason as Nathan Ganas, but if we assume that to be the case, then it refused to pay the beneficiaries of 22 murder victims last year. Not all of those would qualify for the new maximum payment of R3m, but even if they did, it would mean a liability for Momentum whose holding company delivered R2.8bn in headline earnings last year, of R66m. The number will be nowhere near that figure, but it makes the point that Momentum’s decision to dig in its heels on a point of principle may have been a considerably costlier mistake from the perspective of its reputation, than paying out a few life claims as a result of death due to causes unrelated to undisclosed medical conditions. What is unclear at this stage is what effect Momentum’s stance will have on disability claims. If it’s willing to pay out for murder victims what about the many thousands more injured as a result of violent crime. If you fail to disclose a medical condition and survive a violent crime, but are disabled by it, will firms like Momentum pay you out? And if not, why not? Momentum is not yet ready to answer that question. A failure to do so would be a double standard. Surely? Insurance, at the best of times is a grudge purchase. Few people happily pay insurance premiums as industry statistics will show that 70% of the vehicles on our roads are uninsured, despite high road accident statistics. If your clients believe they are paying their premiums into a bottomless pit, they will stop. So while the insurance industry and its army of very clever actuaries can hide behind standard industry practice and demand compulsory disclosure to form the basis of the risk the insurance company takes on when it insures your life and determines the premium you will pay, it’s going to have to think very hard about how it communicates this to its clients. Insurance brokers are incentivised through sales. They are motivated by sealing the deal. They are paid the same level of commission whether a sale takes them two hours or two weeks. This may be part of the problem. Also, a life insurance salesman with fewer scruples might be tempted to gloss over the small print as much of it would put prospective clients off signing up if they thought about it too hard. The industry accepts many of their clients will seek to fudge their medical records in order to secure lower premiums, in the hope that the company concerned will not find out at the time of the claim which is why the industry does carry out investigations before making payouts. There has to be a smarter way of selling insurance and educating clients about why the industry is such a stickler for rules. If it doesn’t, it will cost the industry new business and drive up the cost of your premium. Bruce Whitfield is a multi-platform award winning financial journalist and broadcaster. They just don't make them like they used too. Do you own a Fitbit? That is pretty neat, I have mine synced to my personal website to show my heart rate and steps etc. What I want to do next is get an electromagnetic magnet and a relay. The idea is to build a chest which is closed by this magnet which is controlled by the relay, which is controlled by my raspberry pi. So when I reach my step goal for the day, the chest unlocks and presents me with a sweet.